When Nobu Hanaoka was 8 months old, the city where he lived and played was consumed by a fiery hell. On Aug. 9, 1945, a U.S. warplane released an atomic bomb over Nagasaki, Japan. The blast, heat, fire, and radiation from the bomb killed 40,000 people almost instantaneously. Roughly 70,000 died by year's end. Three days prior, the U.S. military had also exploded an atomic bomb over Hiroshima. Those killed immediately numbered some 90,000. Those dying by the end of 1945 numbered some 140,000. Now 73, Hanaoka was too young to remember the blast. But he vividly recalls the sickness and frailty that overcame his mother and sister, who — like tens of thousands of others — died more slowly due to radiation exposure. They both died from leukemia when Hanaoka was 5 years old. "As far back as I can remember, they were both in bed looking very pale," recalled Hanaoka, in a recent interview. 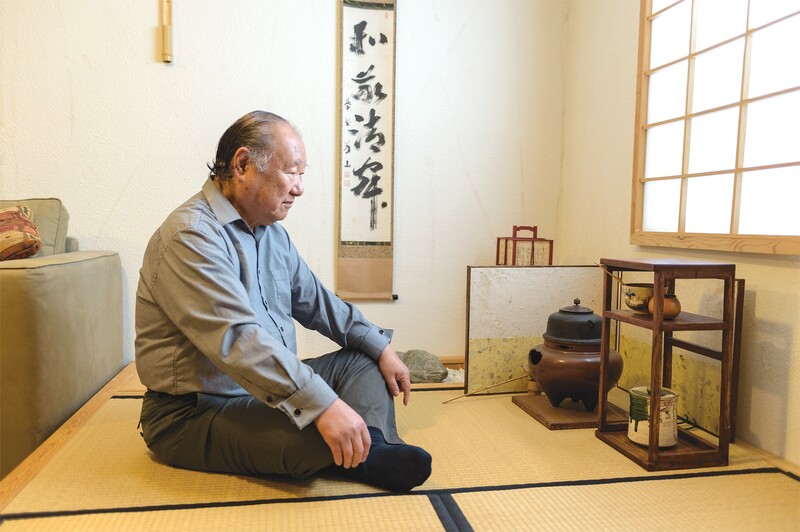 After immigrating to the Bay Area, Hanaoka studied at the Berkeley Theological Union and became a reverend at a United Methodist church in Albany. He also became an outspoken proponent of nuclear disarmament. "We all have to work together to eliminate nuclear weapons altogether," said Hanaoka, who now lives in Daly City. The atomic bombs that destroyed Hiroshima and Rev. Hanaoka's hometown of Nagasaki — the only two nuclear weapons ever unleashed in warfare — are also part of a dark history of the University of California. The Berkeley campus was instrumental in developing both weapons: In 1941, in an experiment inside of Gilman Hall, Cal chemist Glenn Seaborg discovered the substance that fueled the destruction of Nagasaki — plutonium. And later that year, Berkeley Radiation Laboratory physicists developed a new electromagnetic process for splitting highly enriched uranium 235 from naturally occurring uranium, using a device — named for its university of origin — known as a "Calutron." In short order, the U.S. Army Corps of Engineers used the Calutron as a model for a sprawling production facility near Oak Ridge, Tenn., which produced the raw materials that fueled the destruction of Hiroshima. But the University of California's crowning role was as the administrator of the Los Alamos National Laboratory, a secretive compound constructed in 1943 on a remote mesa in northern New Mexico. Los Alamos was the central hub in an unprecedented mobilization of the U.S. scientific brainpower, known as the "Manhattan Project." More than 130,000 people labored in far-flung locations as part of the effort, which commanded more than 40 percent of the nation's electrical power at its height and cost nearly $25 billion in inflation-adjusted dollars. Los Alamos is where the weapons were conceptualized, as well as where they were designed and assembled. It is also one of the places where Big Science — a union of universities, industry, and the military — was first cemented. Following the war, as the United States and other industrialized nations allocated unprecedented funds for scientific research, and despite initial misgivings among some members of the UC Board of Regents, the University of California continued managing Los Alamos, even as it developed new generations of nuclear bombs far more destructive than those that obliterated the two Japanese cities. In 1952, the University of California also helped create a second national nuclear weapons laboratory in the East Bay: the Lawrence Livermore National Laboratory. Collectively, these two UC-administered laboratories have researched and developed the core physical package of every nuclear warhead the United States has ever deployed. But the University of California's 75-year association with Los Alamos is no longer assured. 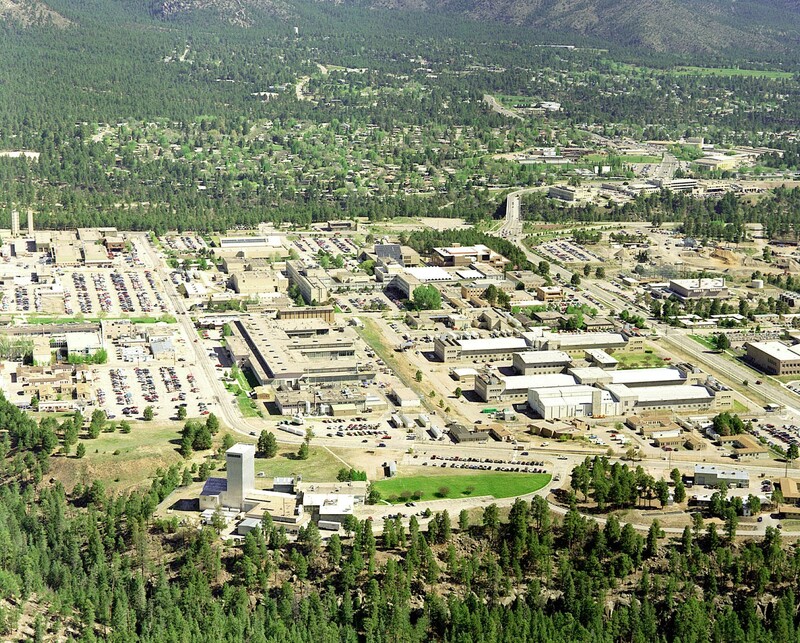 Last year, the U.S. National Nuclear Security Administration (NNSA) put the Los Alamos management contract up for a competitive bid for only the second time in history. The current contract is set to expire next year, and several universities and consortiums — including the University of Texas and a partnership between Purdue University and multinational construction and engineering giant Bechtel Corporation — are bidding for the new five-year contract with a performance-based extension of up to five additional years. For the vast majority of Los Alamos' history, the University of California was its exclusive manager. Since 2006, the UC has managed the nuclear weapons labs as part of for-profit partnerships with Bechtel and two other corporate entities. At a Nov. 15 meeting in San Francisco, the UC Board of Regents voted unanimously to submit a bid for the Los Alamos management contract — but this time without the UC's existing business partners. "We've been there since the very beginning," said UC Regent Norman Pattiz, who resigned two months later after revelations that he sexually harassed a female employee of his media company. "NNSA is a tough, demanding customer, but the work to be done at Los Alamos is too important for the university to walk away from." Over the years, Los Alamos and Lawrence Livermore labs have touted their work in a variety of civilian programs, including renewable energy research, but nuclear weapons maintenance and development remains the overarching focus of each facility. In fiscal year 2016, for example, Los Alamos received $1.602 billion for nuclear weapons development and maintenance from the NNSA, comprising 65 percent of its budget overall. If the UC wins the contract this year and resumes its former longtime role as Los Alamos' sole manager, it means operations of the lab will fall under the authority of the UC Regents and the UC Office of the President. It also means the regents and UC President Janet Napolitano will select the leadership of the lab, while continuing to steer a significant portion of the university's vast scientific resources into the lab's orbit. And it means that every weapons designer's paycheck will come from the University of California. Jacqueline Cabasso argues that the UC's management of the labs legitimizes nuclear weapons. The UC Regents have often described their administration of the weapons labs as a "public service to the nation," arguing that it's better that leaders of an academic institution run the facilities. Proponents of UC management also say the university brings greater transparency to the weapons labs' work than would a strictly private contractor. The UC's bid for the next weapons lab management contract this year also coincides with President Trump's overheated threats to launch a nuclear attack on North Korea and the administration's plan to boost spending on the nation's nuclear warheads by the largest percentage in a half-century. Some nuclear disarmament activists say they prefer that the University of California manage the labs by itself, rather than in partnership with Bechtel or other giant corporations. But other critics and activists contend that UC management of the labs bestows a mantle of legitimacy on the development of weapons of unfathomable destructive power that must never again be used. "The only role the UC really plays is to provide a fig leaf of academic cover to the creation of weapons of mass murder," said Jacqueline Cabasso, executive director of the Oakland-based Western States Legal Foundation, a nuclear disarmament advocacy organization. "On the whole, university management does more harm than good." The administration of the nuclear weapons complex has also brought the university into an orbit of tremendous power. Los Alamos and Lawrence Livermore are multibillion-dollar juggernauts that have shaped the course of some of the world's major geo-political events since the mid-20th century. In addition to harnessing the same physical processes that fuel the sun and stars, these scientists have wielded a political power that has rarely been documented or understood. 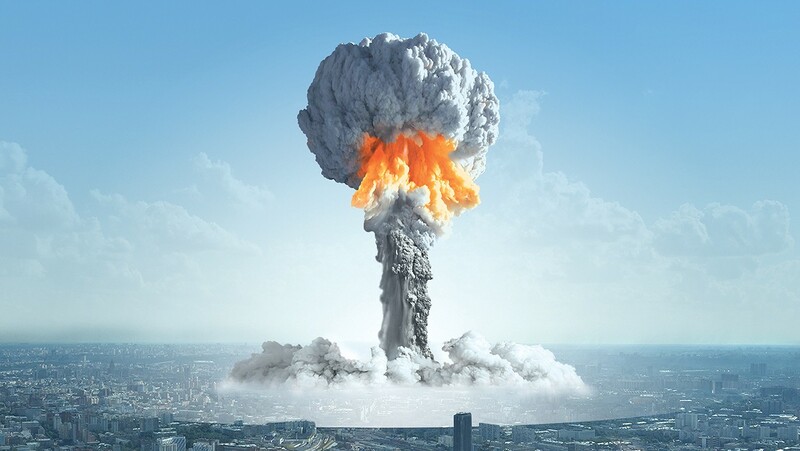 In the past year, the spectacle of a short-tempered, thin-skinned former reality TV star assuming control of the launch codes of the U.S. arsenal of 4,096 deployed nuclear weapons has brought the threat of nuclear annihilation into sharper focus. Donald Trump's administration has adopted policies that harken back to the darkest days of the Cold War, when the United States and the Soviet Union came dangerously close to waging terminal nuclear warfare. The Trump administration's February "nuclear posture review" pronounced that the United States will retaliate against a non-nuclear and perhaps even non-military attack on U.S. infrastructure — say, a cyberattack — with a nuclear strike that could kill hundreds of thousands, if not millions. But while Trump's rhetoric on war is alarming, his nuclear weapons policies largely resemble those of previous administrations. "More than anything else, what you find with nuclear weapons policy and programs is incredible consistency, regardless of which party is in power," said Cabasso. "The Trump policies and programs are also very consistent with what came before them, except that now it's like they're on steroids." Those policy consistencies include prioritizing the long-range funding of nuclear weapons programs, especially at the three largest sites developed for nuclear bomb research during the Manhattan Project and early Cold War: Los Alamos and Lawrence Livermore, as well as the Sandia laboratories in New Mexico and California, which makes the non-nuclear components of nuclear bombs. During the Obama administration, the United States began a massive nuclear "modernization" program, which has put it on course to spend more than $1 trillion by 2040, upgrading every nuclear warhead and delivery system in the U.S. inventory with new capabilities, while greatly expanding the physical footprint of its nuclear weapons laboratories. Part of this vast sum is the NNSA's budget for nuclear warhead development at the three major laboratories. The Trump administration's fiscal year 2019 budget request also proposes increasing the NNSA's budget — including for similar nuclear warhead upgrades — from $9.3 billion to $11 billion. If enacted, it would be the largest increase in nuclear warhead spending, both percentage-wise and in inflation-corrected dollars, since 1962 — the year of the Cuban Missile Crisis. Greg Mello, executive director of the Albuquerque, N.M.-based disarmament advocacy organization the Los Alamos Study Group, noted that this massive commitment to nuclear weapons maintenance and development is rooted in problems that have been building for several decades. "More spending on nuclear weapons, in a time of real crisis in our society and especially our environment, reflects heart-breaking, upside-down priorities," Mello said. "It also reflects the depth of corruption to which we are sinking. A cabal of bloated contractors, a small army of well-placed insiders in government, pork-barrel politicians, and captured federal bureaucrats have bullied the Office of Management and Budget into approving a request for far more money than has ever been spent before on warhead design and production, even during the height of the Cold War." An example of a nuclear modernization program is a new "super fuse" device, developed at Los Alamos, that has made U.S. submarine-based nuclear warheads roughly three times more capable of destroying underground missile silos. If the United States launched a portion of these newly upgraded warheads in a first strike, it could destroy Russia's entire land-based nuclear arsenal, while still retaining most of the U.S.'s submarine-based nuclear arsenal in reserve, wrote physicists for the Federation of American Scientists in March 2017. If Russia attempted to retaliate, it could be reduced to ash. Watchdog groups have differing views on the UC's role in overseeing such activities. Scott Kovac, operations and research director of Nuke Watch of New Mexico, opposes the current corporate-university consortium but said he would support a return to management by the UC sans its current corporate partners. "University management makes more sense," he said. "The large corporate entities at Los Alamos have had a lot less transparency than the UC did as sole manager." 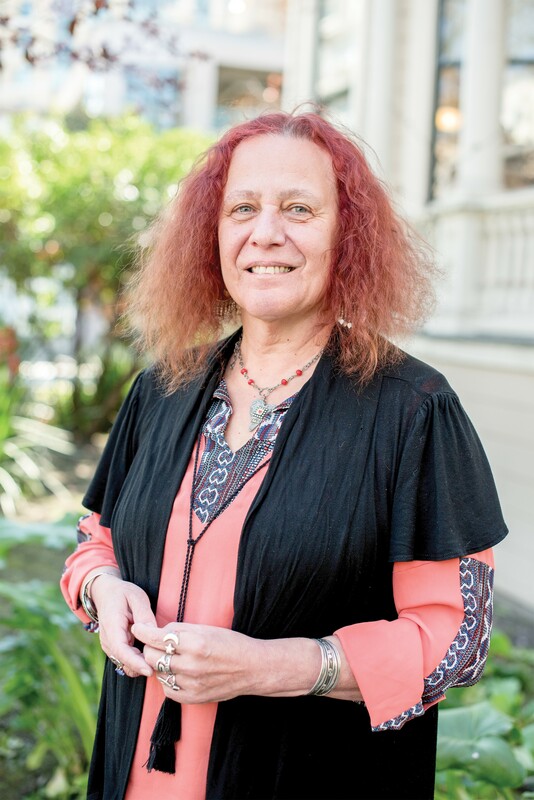 UC Office of the President spokesperson Stephanie Beechem said in a statement to the Express that the University of California is well-suited to manage the labs because it "stands apart as a global leader in the management and operations of complex scientific organizations." She added, "The university is strongly committed to Los Alamos' scientific and technological excellence, driving the lab's culture of operational excellence, and ensuring the continued high quality and integrity of its critical national security missions." NNSA officials declined to answer questions about the nuclear weapons labs, instead directing the Express to the federal agency's website. Mello of the Los Alamos Study Group argued that, overall, if the federal government were to manage the weapons labs, it would bring greater transparency and reform than contracting management to universities or corporations. But a bigger question, he said, is whether the labs should exist at all. He said the weapons labs have consistently fended off attempts to bring more oversight and accountability to their operations. "The resistance of the laboratories to reform is so deep-seated, and their power so great, that it becomes realistic to question whether they can ever be reformed enough to play a positive role in society," Mello said. "And we have concluded that the labs have no unique role in disarmament, nonproliferation, verification, cleanup, intelligence, or in any other mission that cannot be performed more objectively, cheaper, and better by other institutions." Earlier this year, Mello's organization published a 2016 memo prepared by the office of then-Vice President Joe Biden featuring unusual insights into a subject that is typically veiled: the power wielded by the nuclear weapons laboratories. The memo points, in part, to a relatively recent issue: The increased role of private, for-profit corporations in the nuclear weapons business. At least 96 percent of the NNSA's 2017 budget, for example, went to contractors such as the UC-Bechtel consortiums, Lockheed Martin, and other military-industrial corporations. "NNSA's contractors have captured the government," the memo read. "Sometimes, leaking into the open, internal lab emails sometimes refer to their 'capture strategy' for NNSA explicitly, and the rest of the government implicitly." Weapons lab employees have been assigned to key offices in other agencies, such as the U.S. Department of Defense, as well as onto the staffs of key congressmembers who serve on committees that oversee the nuclear weapons budget. "On the staffs of key [Capitol] Hill members and committees, they routinely serve as initial spearheads of lab interests and as defensive bulwarks against administration attempts to change the status quo," the memo read. But the memo also pointed to the influence the weapons labs have wielded since the dawn of the atomic age. The weapons labs and their managers "may also speak formally to Congress on any issue without agency or presidential interference, and they may be reimbursed for such lobbying under their NNSA contractors," the memo continued, noting that this arrangement has been in place since 1945. "The inherent conflict of interest is codified in law." In addition to seeking the development of new nuclear warheads, one of the labs' major priorities is to develop new infrastructure. Following the Cold War, the labs used their political clout to secure expanded funding by way of a program called "Stockpile Stewardship" in exchange for supporting President Bill Clinton's proposal to ban nuclear weapons tests. These included a multibillion-dollar infrastructure of supercomputers, laser, and flash X-ray facilities that allow them to conduct "virtual" nuclear tests. They have also continued to detonate an average of 10 so-called "sub-critical" nuclear bombs every year at the Nevada Test Site: explosions involving as many as 3.3 pounds of plutonium that stop just short of inducing a nuclear chain reaction. And a centerpiece of the $1 trillion modernization program authorized by the Obama administration is the construction of a multibillion-dollar factory to produce new explosive triggers — plutonium pits — for thermonuclear weapons at Los Alamos or in South Carolina. The previous such facility to exist in the United States, at the Rocky Flats Plant, 15 miles northwest of Denver, Colo., was shut down in a 1989 FBI raid, following four decades of carcinogenic releases into nearby communities and environs. Much of the weapons labs' early power arose from the myth of heroic scientists toiling away to help America win the war — a myth that arose during the Manhattan Project, but which is now contradicted by mountains of evidence that the atomic bombings of Hiroshima and Nagasaki were unnecessary from a military standpoint. The two scientists who wielded the greatest influence in the mid-20th century were both at Berkeley. The Lawrence Livermore National Laboratory in the East Bay was originally established in 1952 as a division of the Lawrence Berkeley National Laboratory. From its inception, its role was to compete with Los Alamos in the creation of increasingly sophisticated thermonuclear weapons that would become "deliverable" to their targets. Edward Teller lived on Hawthorne Terrace in Berkeley for more than two decades. Berkeley physicist Ernest Lawrence, who had played an instrumental role in the Manhattan Project, recruited the Hungarian-American physicist Edward Teller to join the UC's faculty and to serve as Lawrence Livermore's founding director. Celebrated in the press as the "Father of the Hydrogen Bomb," Teller was one of the inspirations for the title character in Stanley Kubrick's classic 1964 dark comedy Dr. Strangelove. Teller was arguably the most effective salesperson for nuclear weapons development of the 20th century. And for more than two decades, he lived on Hawthorne Terrace just north of the Berkeley campus. His personal history also provides a stark illustration of the UC's central role in the Cold War. In May 1957, the weapons labs' funding and programs were threatened after the Soviet Union announced it was placing a moratorium on further weapons testing and proposed a comprehensive test ban treaty. Then-U.S. President Dwight Eisenhower endorsed the Soviet's idea. In response, Lawrence and Teller met with Eisenhower at the White House in 1957 in an effort to dissuade him. Lawrence asserted that Livermore scientists were on the verge of developing "clean bombs" that would be free of radioactive fallout and that it "could truly be a crime against humanity" if such weapons were not developed. Teller shared his ideas for developing "peaceful nuclear explosions" to mine harbors or tap deeply buried oil reserves. Eisenhower subsequently agreed to postpone a moratorium to study these matters further. It was one of many cases across the years in which leaders of the labs have taken on U.S. presidents and effectively disempowered members of Congress by framing political discussions around possible scientific breakthroughs or obscure technical questions. Ultimately, the weapons labs' leaders and allied interests were able to prevent a full nuclear test ban from ever taking hold, ensuring the development of numerous nuclear weapons systems that otherwise never would have occurred. Teller exerted an influence on matters of profound global significance for decades afterward. Another infamous project of Teller and other Livermore scientists was the Strategic Defense Initiative, which envisioned positioning anti-ballistic weapons in outer-space to shoot down Russian missiles in their boost phases. It came to be known as the "Star Wars" program. One of the key turning points of the Cold War took place October 11-12, 1986, when U.S. President Ronald Reagan and General Secretary of the Soviet Communist Party Mikhail Gorbachev met in Reykjavík, Iceland, to negotiate a reduction of nuclear arms. Each side initially proposed a 50-percent cut in strategic nuclear forces in five years, and the Soviet proposal also called for the elimination of all remaining nuclear weapons in each country's arsenals in the five years that followed. Reagan stated that he would accept this proposal for the complete elimination of nuclear arms. He insisted, however, on continuing the development of Star Wars. For Gorbachev, the program upset the strategic balance between the two countries, making the possibility of U.S. offensive attacks more likely. Thus, a program that Livermore scientists had developed and promoted turned out to be a key factor in scuttling an agreement that could have resulted in both the U.S. and Russia eliminating their nuclear weaponry. Since the UC Board of Regents' inception in 1877, it has operated as an independent agency appointed by the governor, thus helping insulate it from political pressures. In essence, the regents are the university's directors. The board has always been dominated by business, technical, and managerial leaders who put their power to use by shaping policies within the economic mill that is the university. Many of the firms controlled by members of the regents are transnational corporations worth billions of dollars. During the mid-20th century, several regents were executives of military-industrial firms that relied, in part, on federal contracts to develop nuclear weapons. For the most part, however, the regents have not personally profited from their affiliation with the weapons labs. And the UC as an institution has typically plowed any profits it has earned from laboratory management back into its campuses. The national laboratories also bring the UC a measure of prestige, give its scientists access to vast resources, and provide a substantial chunk of the university's budget. The regents maintain a five-member committee that oversees matters involving the nuclear weapons labs, as well as the Lawrence Berkeley National Laboratory. Beyond hiring and firing the laboratory directors, however, the regents perform little in the way of actual oversight. A 1970s UC faculty committee wrote that the regents are akin to "a benevolent absentee landlord" with respect to the labs. The UC does play a significant role, however, when it comes to recruiting scientists to work at the labs. Federal documents from the 2000s showed that one of the NNSA's 10 major benchmarks for evaluating the weapons labs' performance was to "utilize UC strengths to recruit, retain and develop" the labs' workforce. Previous NNSA "Performance Appraisals" for Los Alamos and Lawrence Livermore labs noted that their "effort to incorporate the UC image in addressing pipeline recruitment needs" was an especially useful strategy in personnel recruitment. The weapons labs operate 12 academic institutes that help foster recruitment, of which 10 are affiliated with the University of California and five are located on UC campuses. In recent years, the UC's affiliation with the labs has elicited little opposition. But in the 1960s and '70s, disarmament advocates protested heavily against the UC's involvement in nuclear arms. At the time, students throughout the country were in open revolt against universities' key role in the development of technologies of modern warfare. At UC Berkeley, it was a fixture of student movements. "The university is a vast public utility which turns out future workers in today's vineyard, the military-industrial complex," Free Speech Movement leader Mario Savio told the San Francisco Examiner in 1964. 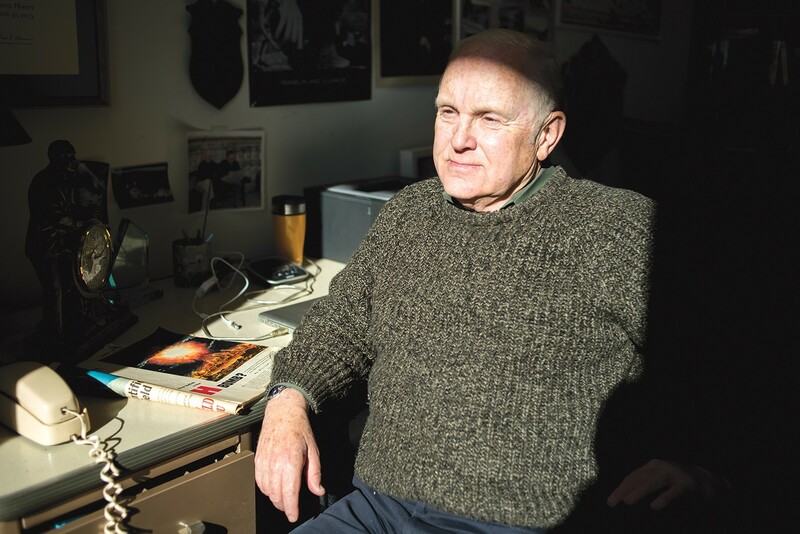 Gray Brechin refers to Los Alamos and Lawrence Livermore labs as UC’s shadow campuses. In 1970, the UC's role in nuclear weapons development became the major focus of a group called the Berkeley War Crimes Commission, a project organized by students and members of several short-lived radical communes on Ashby Avenue. The weapons developed at Livermore and Los Alamos help maintain an international and domestic political order marked by gross inequities in wealth and power, the group posited, and are wielded in the same way a bank robber holds a gun to the head of a teller. 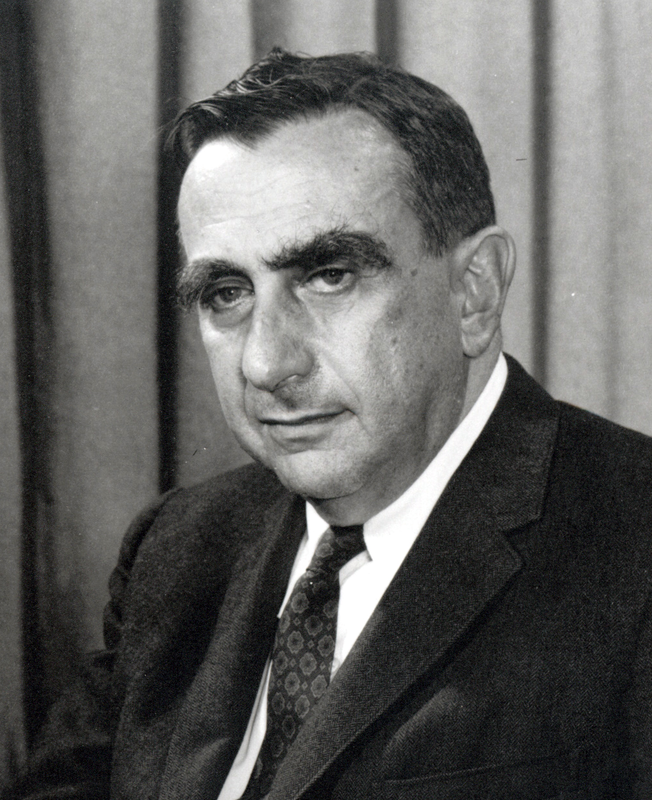 At one event, the group conducted an on-campus "tribunal" in which four appointed "commissioners" pronounced a handful of UC faculty members and administrators, including Edward Teller, guilty of helping the United States engage in "nuclear blackmail." Following the meeting, roughly 150 marchers set out for Edward Teller's house on Hawthorne Terrace. They were repelled by 200 police officers. UC severance from the weapons labs seemed a strong possibility at the time. The Livermore laboratory's director, Michael May, wrote a memo to UC administrators with a gloomy prognosis of what may happen "if the university pulls out." "It will be extremely difficult for the AEC [Atomic Energy Commission] to find any replacement contractor and impossible to find one as satisfactory" as the UC, he wrote. During a closed meeting, the minutes of which are housed at Bancroft Library, regent John Canaday likewise complained about the "confrontation with dissidents growing out of our management of the major AEC laboratories." Canaday, who chaired the regents' weapons lab oversight committee at the time, also had a business stake in the matter. He was a vice president of Lockheed Aircraft Corporation, later to become half of the consortium Lockheed-Martin, which had developed a missile to accompany a submarine-launched nuclear warhead — the Polaris warhead — developed at Livermore. But amid the firestorm of student protests, the UC reduced the visibility of its links to nuclear weapons development. In 1971, Lawrence Livermore split off from Lawrence Berkeley, becoming its own independent laboratory. The federal agency that managed the nuclear weapons complex at the time, the Atomic Energy Commission, previously maintained an office on Oxford Street in Berkeley. During a riot in 1971, students attempted to burn it down. The office shuttered its doors, and its staff relocated across the bay to San Francisco. The student protests eventually died down, and the UC's management of the labs persisted. Opposition to UC management of the labs resurfaced in the late-'70s and into the early-'80s. Jerry Brown, then in his first term as governor, even briefly stepped forward as a critic of UC weapons lab management. "UC is profoundly compromising itself by becoming the intellectual home of nuclear weapons and participating in a runaway arms race," Brown stated at a 1979 regents meeting. As the Cold War wound to a close, the regents faced renewed calls to sever ties with the labs. In a 1990 UC Academic Senate survey of faculty members at each of the university's campuses, 3,089 respondents (64.6 percent) favored UC severance from the weapons labs, with only 1,702 (34.6 percent) opposed. The regents nonetheless voted in favor of renewing their management of the labs. Within the university milieu, some longtime critics of weapons lab management remain. One is UC Berkeley geography instructor Gray Brechin, whose urban history classic, Imperial San Francisco, concludes with a groundbreaking essay on the UC's history. "The Manhattan Project effectively began at UC Berkeley and has never ended, as UC's two shadow campuses at Los Alamos and Livermore have competed with one another, as they were designed to do, to produce and to promote the most efficient means of ending life on Earth when used," Brechin said in an interview. But the university's contemporary portrayal of Ernest Lawrence, a man who did more than virtually any other to usher in the atomic age, reveals a convoluted attempt to embrace his legacy while simultaneously distancing itself from the work in which he was engaged for much of his professional career. The Lawrence Hall of Science, located across from the entrance to Lawrence Berkeley National Laboratory, was constructed in Lawrence's honor in 1968. Among its most visible displays is the Ernest O. Lawrence Memorial, which devotes only a handful of token sentences out of several paragraphs to Lawrence's involvement in nuclear weapons development. "The contributions of Ernest Lawrence and his radiation laboratory to the war effort helped forge a new compact between science and the federal government and became the embodiment of Big Science," it reads. "Big Science radically changed the picture under the auspices of the Manhattan Project — the development and production of the atomic bomb during World War II. It pioneered the introduction of a system in which the government contracted for research and development services from university scientists and private industry." In reality, Lawrence dedicated much of his life following World War II to furthering the development of nuclear weapons, including through lobbying in Washington, D.C. for bigger weapons programs and budgets. He died in 1958 after falling ill while assisting in the negotiation of a proposed Partial Nuclear Test Ban Treaty with the Soviet Union. He was the member of the American delegation who most strongly opposed the treaty's ratification. Photo by George Baker, Jr.
Nobu Hanaoka says nuclear disarmament has never been more pressing. The display omits any reference to Lawrence's role in founding Lawrence Livermore National Laboratory and his key role in promoting the nuclear weapons testing program in the Nevada desert and in the Marshall Islands, a string of coral atolls in the South Pacific. The program drove thousands of Marshallese from their homeland. Radioactive fallout from nuclear weapons testing killed more than 15,000 Americans and caused at least 80,000 cases of cancer, a 2002 National Cancer Institute and Centers for Disease Control study concluded. It also fails to mention the UC's role in the atomic bombings of Hiroshima and Nagasaki, events marked by grisly new forms of death, which also showed the world for the first time that humans had developed the capacity to destroy life on Earth as we know it. The Hiroshima and Nagasaki detonations were so bright, survivors would later recall, that the sun appeared to have exploded in the center of their cities. Many of the victims simply vanished, the outlines of their bodies permanently etched as white shadows in black nimbus on streets and walls. Among the survivors, tens of thousands were covered in burns, missing limbs, or dragging their skin behind them on the devastated streets. An oily black rain showered each city and its hinterlands with radioactive fall-out, claiming thousands more lives through cancers and other radiation-induced sicknesses. Although the UC itself does not acknowledge its role in this devastation, living monuments still exist in its midst. Rev. Nobu Hanaoka is one of numerous survivors of the atomic bombings — known as Hibakusha — who later put down roots in the Bay Area. Shortly after his mother and sister died from leukemia, he heard from a doctor that he would be unlikely to reach his 10th birthday. For several months, the trauma induced him to stop speaking altogether. But Hanaoka would later find his voice and join other Hibakusha in speaking out passionately for the elimination of nuclear weapons. While working as a pastor at churches around the Bay Area, he also helped bring together survivors of all parts of the nuclear fuel cycle — Hopi and Navajo uranium miners, nuclear weapons testing downwinders, nuclear facility workers, residents of Hiroshima and Nagasaki, and many others — to call for nuclear abolition. From his perspective, the need for nuclear disarmament has never been more pressing. "The nuclear powers have started reducing the numbers in their arsenals, but they have also been modernizing them, making them stronger and more powerful," he warned. Modern nuclear weapons, such as the United States' B83 bombs, use a thermonuclear process far more powerful than the fission chain reaction that ignited the Hiroshima and Nagasaki bombs. A B83 carries an explosive power equaling 1.2 million tons of TNT, making it 80 times more powerful than the bomb that detonated on Aug. 6, 1945. The possibility that such a weapon may be used is increasing. In January 2017, the month President Trump was sworn into office, the US Bulletin of Atomic Scientists moved the "Doomsday Clock," a symbolic countdown to the end of the world, to two and a half minutes to midnight. It marked the first time since 1953 — after thermonuclear bomb tests in the U.S. and the Soviet Union — that humanity has been this close to global disaster. Heightening tensions around the globe have enhanced the possibility of either an accidental or intentional nuclear war. Environmentalists say that despite the fact that Big Oil got almost everything it wanted in California's cap-and-trade extension, local caps on refinery emissions are still doable.